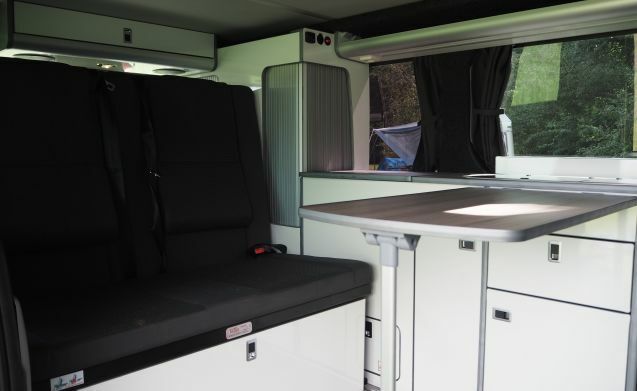 Nice and complete camper bus suitable for 2 persons. This bus has a lifting roof which, after opening, offers space for storing your items. The sofa can easily be converted to a bed with the dimensions 1:10 mtr x 2:00 mtr. 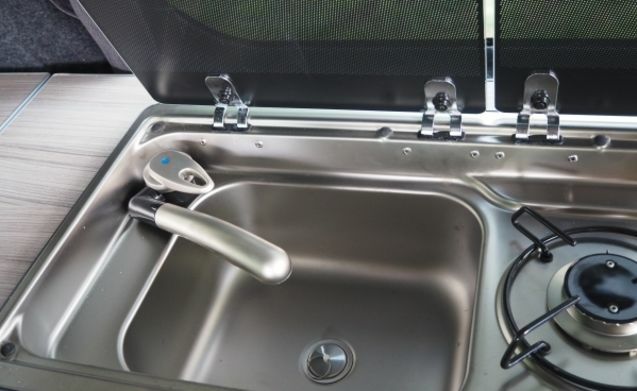 The camper bus has a standard inventory equipment and is provided with many amenities. 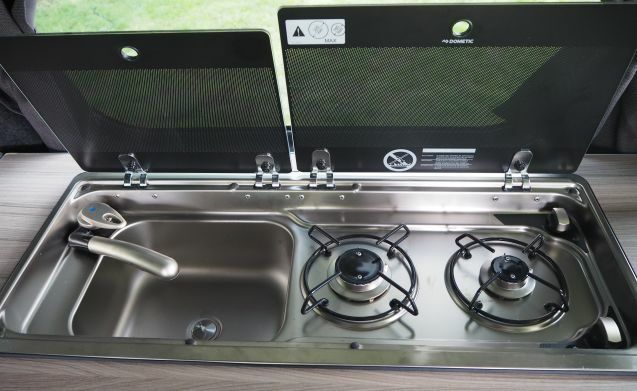 A sink with a casserole, a 2-burner cooker and a top-loading refrigerator complete the kitchen unit. In addition, there are a number of storage facilities for clothes and the like. A small folding table can be attached to the kitchen. Underneath the couch there is still room for extra storage so you can lose your stuff during the trip. 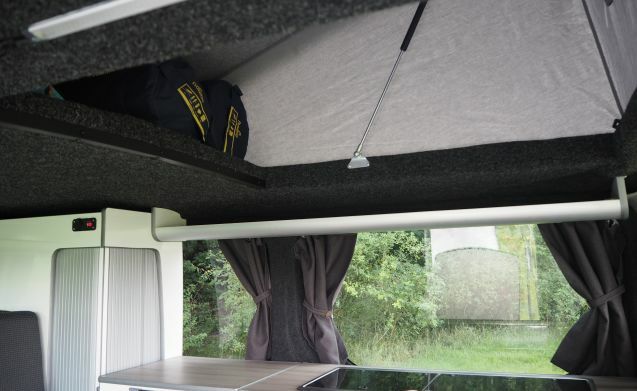 If you want to rest out on the go, you can quickly turn off the canopy and you can enjoy a cool drink within a few minutes. How luxurious is that! We assume that our camper bus deals with your own property.